There are many types of leather available today from aniline and semi aniline to pigmented leather and many more. Professional leather cleaning is a must when caring for your leather furniture or car interior and if done on a regular basis helps maintain its appearance and prolong the life of the leather. To be kept in peak condition your leather should be professionally cleaned approx. every year. Cleaning removes the build-up of dirt and oils, which if left can over time start to break down the leathers protective coating and lead to loss of colour and other problems. Cleaning also helps to restore the suppleness of the leather keeping it in peak condition. 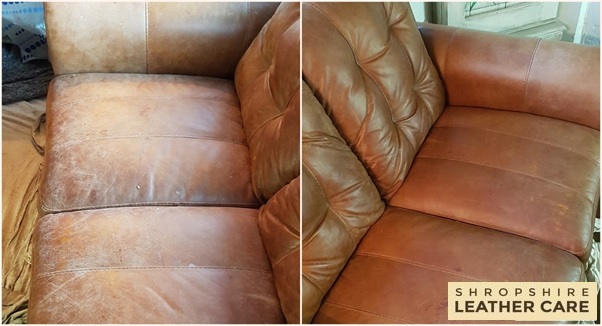 As part of our leather sofa cleaning service we protect your leather, this protects the leather against stains, water spills, or the buildup of grease from skin contact. This product is also available to purchase from us to keep your leather in great condition between cleaning intervals. 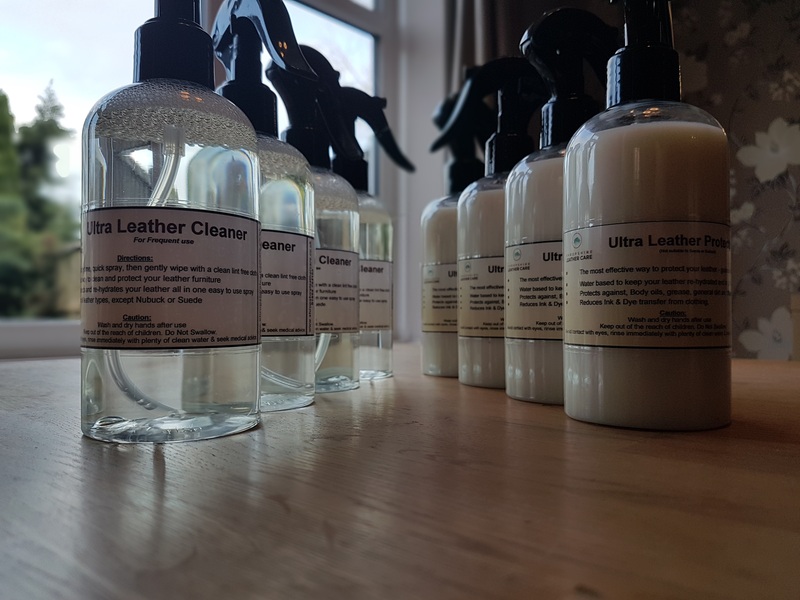 For some leather’s such as aniline we offer a cleaning and conditioning service and we can also undertake protecting these against water based spills. Our full service includes a full deep clean and protection applied after. Our specialist techniques have helped us to remove ink, pen and other daily stains. Sometimes though restoration maybe required to fully hide the stain. We offer professional leather cleaning in Telford, Shrewsbury & Shropshire. So for a free survey and inspection to assess what we can do for you and advise it any areas need repairing or restoring. This if required can be arranged to return your sofa back to its former glory.